When your baby is old enough to get bathed and washed properly, you would need the right baby wash to suit and match your baby’s skin. 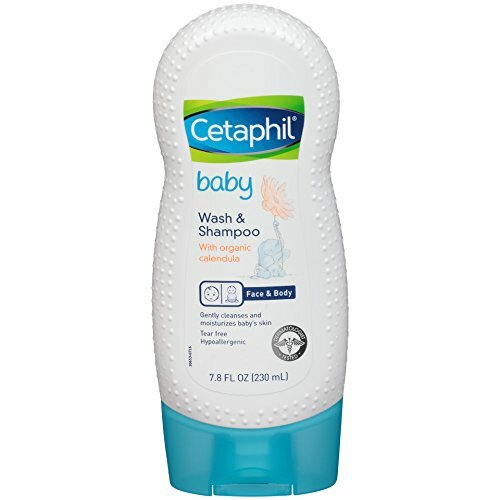 The best baby wash is gentle yet effective to properly cleanse and nourish baby’s sensitive skin. There are a lot of baby washes out there to choose from. This means that the baby wash does not contain any ingredients that will irritate baby’s skin or cause a reaction. It should be gentle on baby’s skin. Some fragrances that are found in baby washes can irritate baby’s skin, not to mention the smells can also be overwhelming. Finding a baby wash that isn’t scented is recommended. Most skin issues that babies experience are due to dryness. Because of this, it is essential that you pick a soap or wash that won’t dry out your baby’s delicate skin. Do your research and find out the ingredients found in a certain brand of baby wash. In this way, you’ll know exactly what potential concerns and hazards that might affect the baby. For example, you can go to the Environmental Working Group Skin Deep Database to do your homework. You can also check for factors like ingredients being cruelty-free, vegan, organic, or fair trade. There are some baby washes that lather up well while others are like lotion. It’s up to you to choose which one you prefer. Most will also have a no-tear formula that won’t sting or irritate baby’s eyes. There are some baby washes out there that can also be used for the body as well as for the hair like shampoo. A good baby wash should be able to do its job in cleaning baby’s skin but without drying it out. This means how the baby wash is being packaged. Bathing a newborn can be challenging, especially if you are doing it on your own, so the easier it is to use the baby wash, the better. This depends on your budget. There is a variety of baby wash with different price ranges you can choose from. The price of a baby wash would be anywhere from $5-$20. You don’t need to bathe newborns daily. 3 times a week should be enough. Choose a mild but moisturizing baby wash, and also one that doesn’t dry out the skin or irritate the eyes. Don’t forget to clean in between baby’s creases, under the chin, or between the toes. This baby wash is popular among many moms for a good reason. It’s great for babies with dry skin or is suffering eczema. It contains natural oat extract that helps to calm irritated or inflamed skin, soothe it, and also keep baby’s skin moisturized. It is paraben-free, soap-free, hypoallergenic, and has a no-tear formula. The gentle formula makes it great for an all in one wash. It doesn’t have any parabens, dyes, colors, etc. but it can also relieve a lot of issues like eczema, cradle cap, acne, psoriasis, and others. It contains rosemary oil, which can naturally ward off lice. CERTIFIED ORGANIC AND VEGAN. 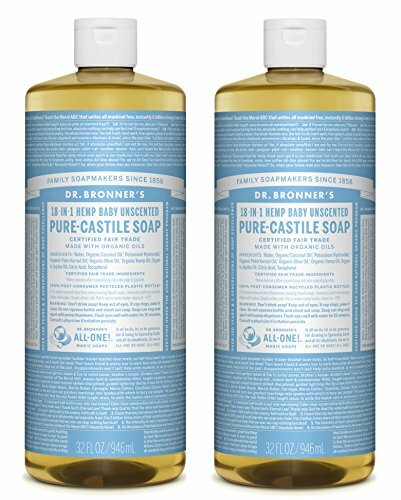 Certified organic by the USDA National Organic Program and certified Vegan by Vegan Action, Dr. Bronner's is a proud supporter of animal advocacy organizations. With a "leaping bunny" logo it is certified cruelty-free. This all-natural cleanser can be used to protect and moisturize baby’s sensitive skin as well as be used to clean the baby’s bottle, cleaning dishes and even clothes among other things. 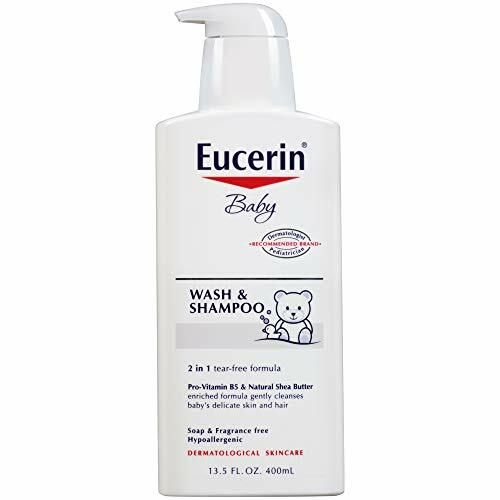 Awarded “Best Skincare Products of 2018”, this baby wash/shampoo was made by doctors with no parabens, sulfates, dyes, animal byproducts, perfumes, petroleum, phosphates, chlorine, formaldehyde, or any other chemicals and toxins. It is pH balanced so it would suit baby’s sensitive skin. It won’t strip skin’s essential oils but rather, it would keep it moisturized with ingredients that are food grade, plant and mineral based, and even uses sea salt for purifying. This cleansing gel is great for treating cradle cap. It contains natural ingredients like avocado and vitamin B5 to help cleanse baby’s scalp and skin, protect the skin barrier, hydrates, and locks in moisture at the same time. 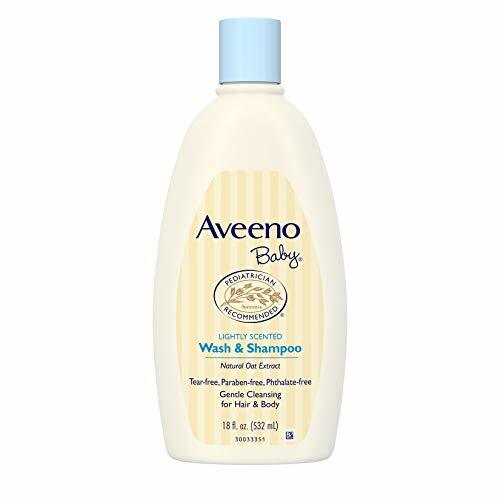 This gentle foaming and hypoallergenic shampoo specifically treats cradle cap due to beta hydroxy acid (BHA), salicylic acid that exfoliates and Climbazole, an antifungal that prevents future reoccurrences. This baby soap is great for conditions like acne, cradle cap and eczema but is still gentle on baby’s skin. It contains chamomile, Panthenol, and vitamin B5 to help soothe the skin and prevent irritation. This brand is recommended by pediatricians and dermatologists. It contains organic calendula which can that soothe and calm down inflamed, sensitive, skin. This contains a blend of essential oils of tomato, sunflower, cranberry, black cumin, and red raspberry. These are beneficial due to their antioxidant properties. Even if it is a gentle cleanser, it still foams up pretty well. 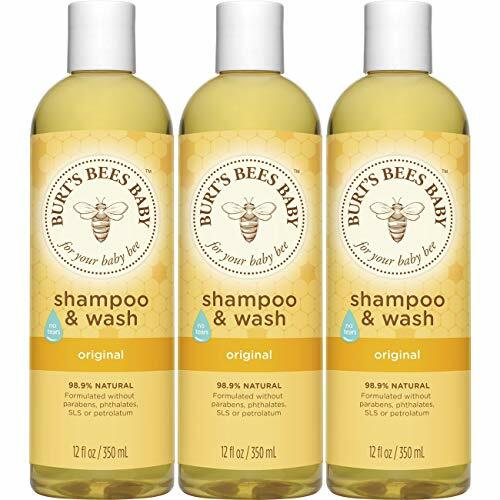 This gentle baby wash/shampoo has plant-based ingredients like soy proteins which act as natural moisturizers. They also have vitamin B and essential minerals that provide moisture and smoothness. This product is also good for babies with sensitive skin types. 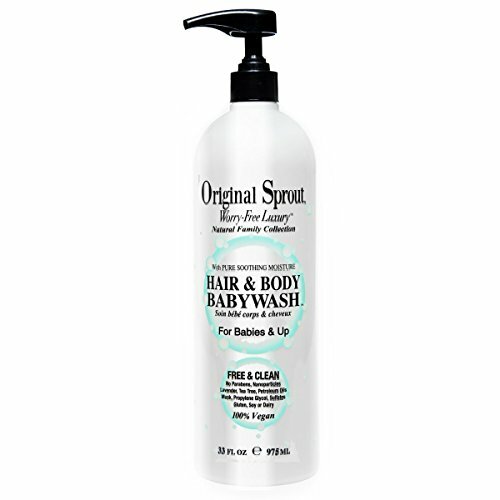 A gentle formula composed of organic herbs and oils, this baby wash is easy to use with its pump and it also lathers pretty well. It contains shea butter to keep baby’s skin moisturized as well as vitamin B5, which helps to soothe irritated skin. It can repair and protect the skin as well. Pediatricians have also recommended this product. Aside from being a great and practical gift, this set contains different products that you can also try out yourself. It contains a wash, baby lotion, baby cleansing bar, and baby wipes. The Tip to Toe baby wash is gentle enough to be used daily even on sensitive skin while moisturizing at the same time. It’s plant-based and gently cleanses baby’s skin. The oils also keep the skin moisturized and soft. It’s also one of the affordable, natural baby washes out there. Deeply moisturizing skin with natural oils and essential fatty acids. 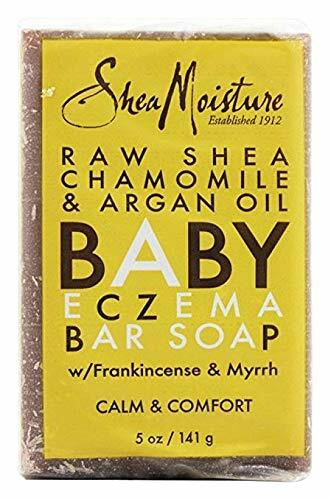 Because it is made of 100% pure unrefined shea butter, this baby soap is perfect for babies with eczema, sensitive skin, or babies with diaper rash issues. Vitamins A, E, and F are what helps to make it beneficial and is overall a great baby soap to use. There are a lot of baby washes out there in the market for all kinds of skin to nourish, protect, and treat baby’s sensitive skin. 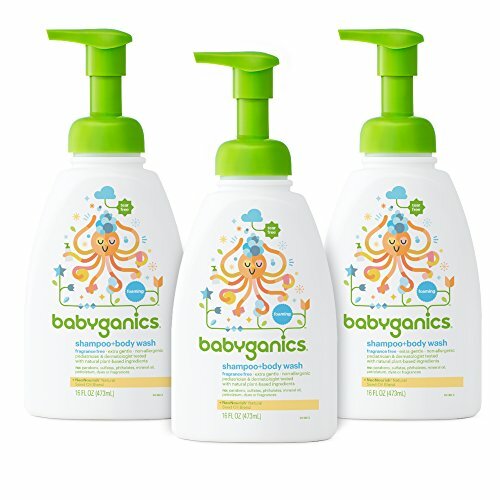 Do you have a favorite baby wash? I love Burt’s bees! 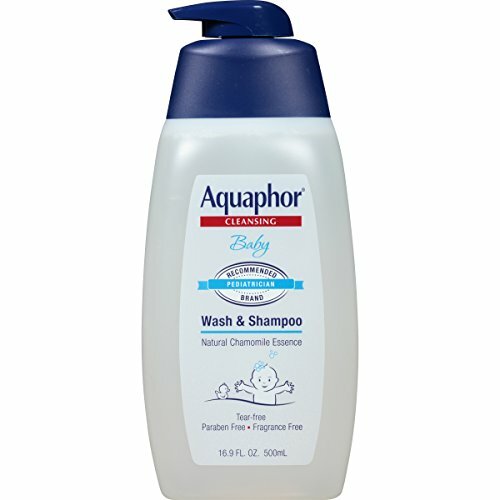 But I would not use Aquaphor. Synthetic anything stay away.